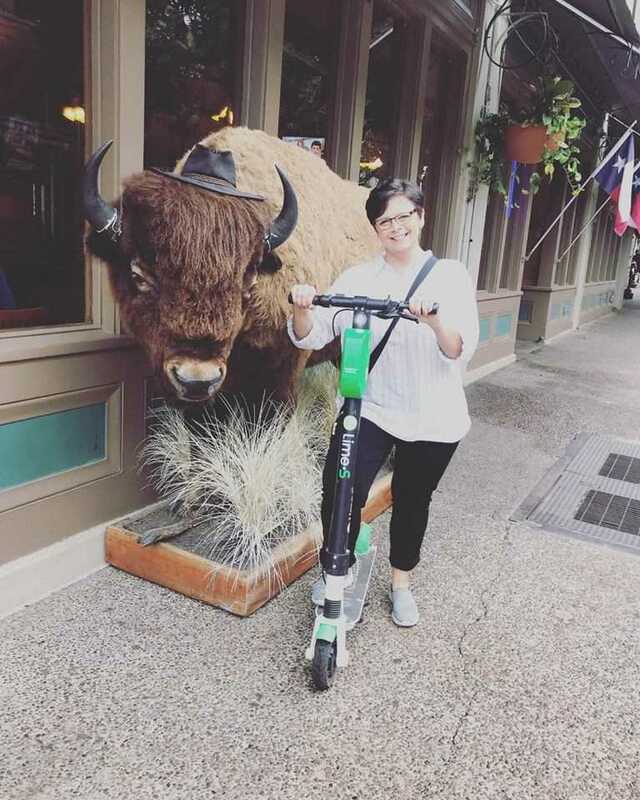 Lorie McDonald rides a scooter in front of a buffalo prop. Lorie McDonald, 46, was the director of the LLCC Litchfield campus. She was struck and killed by a vehicle while walking her dog, Bernie, on Nov 8, 2018. Christine Marietta, an administrative assistant at LLCC Litchfield, was a friend of Lorie’s. “Lorie was more than a boss; she was a friend,” Marietta said. Tisha Miller, Litchfield Student Club adviser, also worked with Ms. McDonald. “Lorie was a fun-loving, kind spirit. She truly cared about her students, staff, co-workers and the Litchfield community. People were drawn to Lorie. 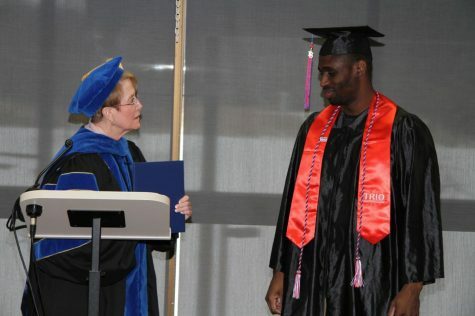 She saw the good in everyone and made you see the good in yourself,” Miller said. Ms. McDonald is survived by her parents, Gerald and Patricia (Hall) McDonald of Litchfield, her maternal grandparents, Lee and Margie Hall of Litchfield, and many aunts, uncles and cousins. Memorial services were held Nov. 14, 2018 at the Litchfield Family Funeral Service.